I dunno if you noticed but if you scroll down and look on the right side of this page, you will see a list of black-owned businesses that I support. I add to this list from time to time based on my own experiences and from recommendations of others who have patronized these businesses and want to spread the word. So feel free to click, click, click. 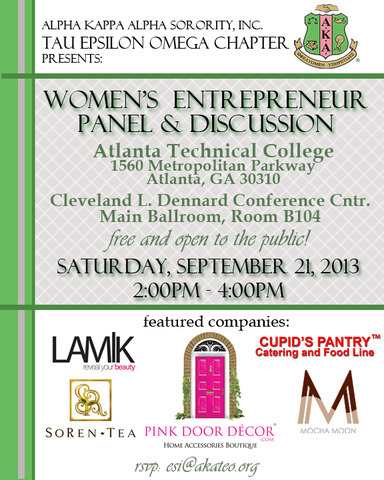 And if you are in Atlanta and interested in starting or growing your business, please check out this event. The Women’s Entrepreneurship Roundtable features a panel of successful business owners who will tell us about their journey and answer questions from the audience. It’s always a very worthwhile event, so come on out!